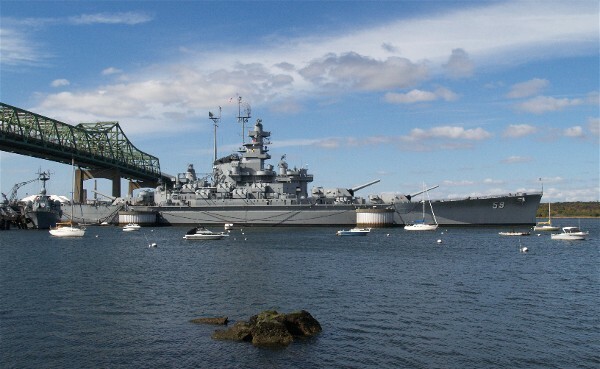 USS Massachusetts captains, are your main guns or secondary batteries your main firepower? As a South Dakota class battleship, she has powerful 16 inch (406mm) main battery guns capable of sending any sized vessel to the bottom of the ocean. However she also has deadly secondary batteries that can turn any sea worthy warship to a watery grave as well. If you have USS Massachusetts in your fleet, which gun crew claims the most destroyed warships? The main guns are still the primary weapon of choice. The secondaries while good are a situational weapon, if you charge in recklessly hoping to engage with secondaries you are dead. This ship requires a lot of patience and situational awareness to reach its full potential. Full secondary build; but as @UssIowaSailor said, tempered by being careful not to rush in too soon. Common to focus the secondaries on one target, while firing at something else with the main battery. Same thing I do with pretty much any ship, depending on the strength of the ship’s secondaries. If you want a main gun focused MA, get an Alabama. Secondaries or buy something else. edit: speaking in the generic "you" not the specific. It is funny but whenever I see the South Dakota ships or the North Carolina in real life I can easily tell the difference between the 16 inch 45 caliber guns to the Iowa's 16 inch 50's. I looks like someone cut the ends of the guns off. The main guns do most of the direct damage, but the secondaries have the effect of dissuading destroyers or CQC CA/BBs (think Hipper or Bismarck) from closing or attempting flanking maneuvers as they begin to stack residual damage. It lets you stay in the fight longer compared to a NC or Alabama in the same spot. If you look at your best games in the Mass you will see that the secondaries contribute about 1/3 of the damage. 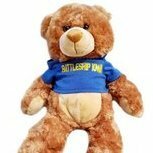 They are an important part of its armament but not the main part. Hi, we havent met yet. My names Hatework and i secondary spec all the things. Ive even tested secondary builds on cruisers. When Wargaming almost removed the secondary module, i was there, handing out pitchforks and torches. I still keep a trebuchet pointed at Belarus in case they get any funny ideas. All but one of my 19 point captains are secondary specced. When I take her out, I never use my primary guns, secondaries only. NOT! Kind of a fail question. LOL I am with you on that. I think ALL battleships should have secondaries like the Mass, it would make the game a lot better because Battleship players would be more willing to get closer if their secondaries had a 10.6 to 12km range. Oh secondaries. You can have some real fun sailing between two ships and letting your gunners go nuts! Not with manual secondaries ya don't. Secondary's. Granted, having the NC and Alabama... it seems silly to outfit all three ships the same way. Lol you play like I do, I have even brawled CV vs CV and had BFT mounted mainly for that purpose. Let me tell you when a couple high tier CVs do that it gets everyone eating talking about it. I have N. Carolina, Alabama and Massachusetts. I reset NC to secondaries and I'm going to make my permanent NC Cmdr have the following skills; PT, AR, BFT, AFT, (IFHE, MFCSA, PM). But I got Max Strauss, NC Cmdr, in a Halloween container, so he will be the survival buil;,PT, EM, BoS, FP, (AFT, AR, SI) and William Warren will be the secondary build above. NC and Mass have the secondary upgrade and Alabama has the AA upgrade. I mostly use the secondary Cmdr in Co-op and will use the survival Cmdr in PvP. I play her like I would most other secondary focused ships: Staying back weakening the enemy with my main battery, but prepared to lead a charge if my team is willing to push with me when the time is right. It depends. If I have a mission for 500 secondary ribbons then I'll go into a coop match and load HE in the main guns for DDs that get close but otherwise never fire them and just watch the secondary ribbons roll in. In ranked I use the main guns for damage and my secondaries just unnerve my opponents. The Massachusetts is all about secondaries and the silly fun they are. As someone else noted, if you are stacking skills/flags etc toward the main guns then you should really be sailing the Alabama. You need an 18 point captain to make the secondarys work, without the ship is pure crap. 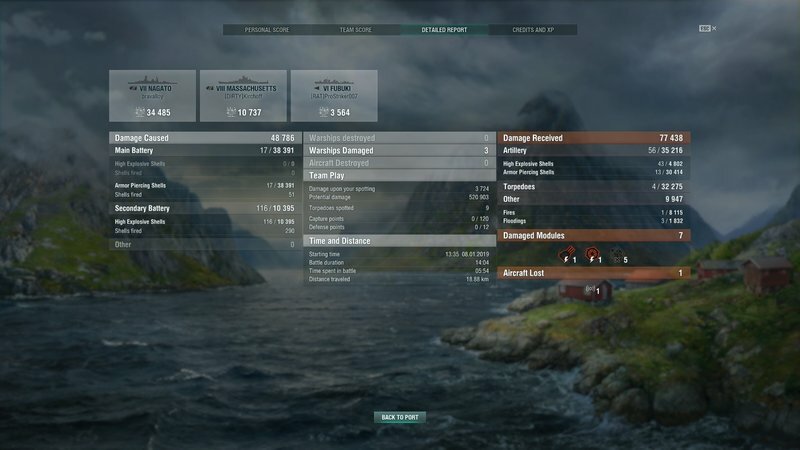 even with a 14 p captain you get 100+ secondary hits and about 10k dmg.